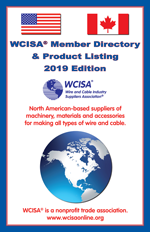 WCISA® · Wire and Cable Industry Suppliers Association® - is a nonprofit corporate membership association with over 100 North American suppliers of machinery, materials and accessories used for making all types of wire and cable. Members are based in or have an established subsidiary in North America. 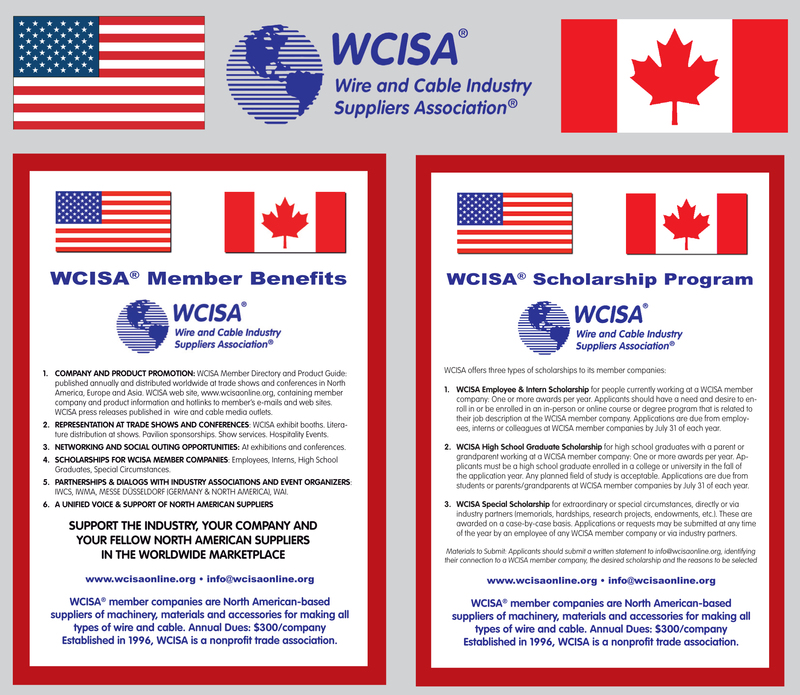 WCISA’s mission is to promote its member's products and services by providing its members with representation, networking/social opportunities and services at wire and cable trade events and conferences. WCISA is active in wire and cable trade events and conferences throughout the world, in varying capacities, including as an exhibitor, supporter, sponsor and outing organizer. WCISA also awards to scholarships to employees and dependents of member companies as well as partner associations. WCISA membership inquires can be sent to info@wcisaonline.org. Click here for information on becoming a WCISA Member Company.